Mortal Kombat’s reveal event is only days away at this point, so we should soon know a lot more about the game than we do now. While the initial trailer and PR confirmed time travel shenanigans and character variations, the game’s impending April release date means the next few months should be packed with Mortal Kombat information. So why not start that off with a reveal of the box art, courtesy of one Ed Boon? The box art shows the more modern version of Scorpion leaping out, though we know from the trailer that an older more Mortal Kombat II-like version of the character also exists in the game. Interestingly, the box art apparently leaked out last month as part of a Reddit rumor. The user claimed that he accidentally got an internal email meant for Netherrealm staff about the game, which suggested, among other things, that Ronda Rousey would be voicing Sonya Blade in the new title. It also mentioned a new character named Geras, who will be revealed later. 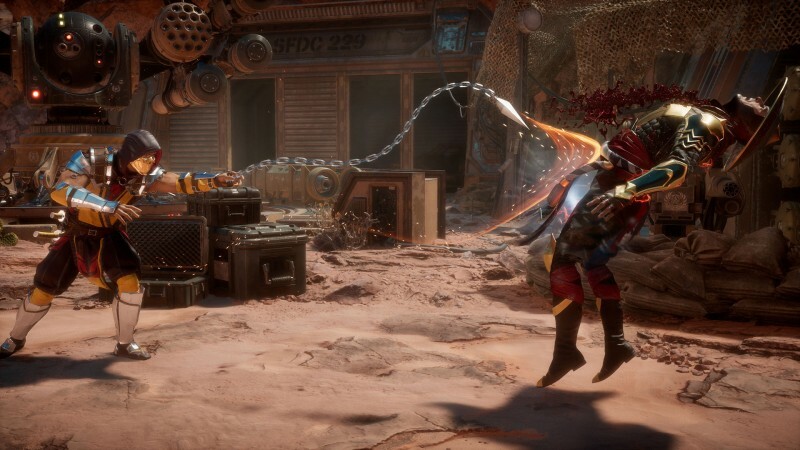 We’ll definitely find out for sure during the Mortal Kombat 11 reveal event on January 17. The game will be released on PlayStation 4, Xbox One, Switch, and PC on April 23.